AMETEK Electronic Systems Protection (ESP) has hired Richard O’Brien as regional manager, sales. In his new position, O’Brien will support ESP products in Maine, Vermont, New Hampshire, Massachusetts, Connecticut, upstate New York, Maryland, and Virginia. Rich O'Brien With over 15 years of imaging industry experience, O’Brien brings to the ESP sales team an impressive repertoire of sales and management skills. 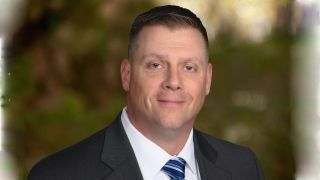 He began his career as a sales representative with ComDoc Inc., where he quickly rose to the position of sales manager and ultimately, general manager. O’Brien gained additional experience at several sales management positions within Global Imaging Systems, parent company to ComDoc Inc. He most recently served as systems sales director for Omnicell, an automated healthcare solutions provider. His primary responsibilities at Omnicell included managing customer relations and expanding the client base. Among the challenges he addressed were finding effective solutions, particularly for medication distribution in acute-care hospitals, that helped to increase patient safety and improve operational efficiencies. “We are pleased to have Richard join the ESP sales team. He brings an especially impressive record of sales team management success and improved customer satisfaction. We are excited to add his extensive sales knowledge and broad management experience to our team,” comments Dave D’Agostino director, sales for AMETEK Electronic Systems Protection. “We appreciate and encourage his client-first approach and attitude, which have served him so well throughout his career, and believe this will benefit our customers as well,” adds D’Agostino. O’Brien graduated with his bachelor’s degree in architecture from the State University of New York, Buffalo.